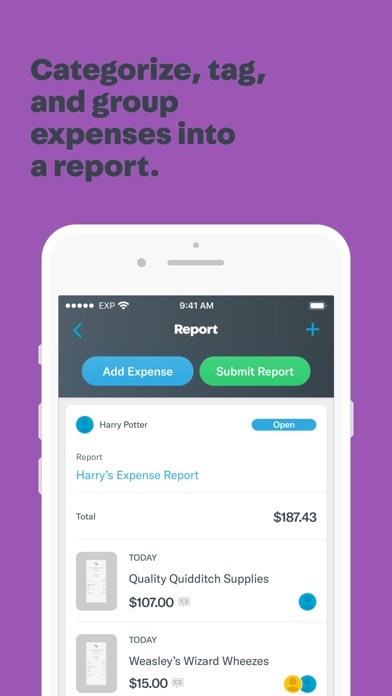 I started using this app and liked for all of my expenses until I recently put in place an expense rule that was too broad and had all of my expenses recharacterized. Shockingly, there was no way to “undo” the application of this rule and the months of my diligent work with Expensify went out the window. There was also _no_ warning message such as “are you sure you want to apply this rule to so many expenses?” Or something like that. I do not recommend this app, and certainly not the paid subscription, until there is a way to back up or manage the application of rules to make sure they are applied correctly. Can’t use a mobile browser to login, forced to get the app. 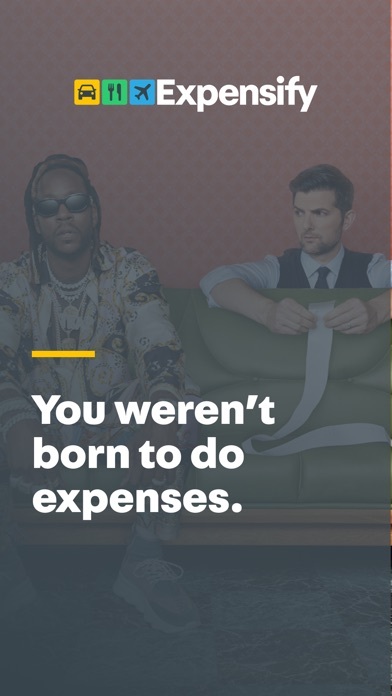 Sadly, Expensify is what I’d call a “dumb app”. It does a fantastic job of capturing receipts and scanning them for appropriate data. Oddly, it grabs the data from my doctor’s hand-written receipts well, but won’t recognize the data from a few large retailers. Anyway, that’s sadly pretty much all it does. There are no sorting or categorizing abilities in the reports, you just manually construct them by selecting receipts you want to be part of it. To me it simply feels like a job only halfway done. That half is very good, but just not enough for what our devices and the developers are capable of. I really enjoyed the Expensify application and it appears to have most everything I am looking for with some exceptions. My biggest issue and I would most likely not buy this program again unless I fix would be put in place and that is the complete lack of life support. If you run into any issue and you need their support there is no telephone number and there is no live chat options unlike every other APP I use. Unfortunately when you submit an issue and you are in need of help from their team they tell you they may get back to you in 24 hours or more. In reality, you ask a detailed question and 24 hours later they come back to you with a generic answer that does not fix a thing. Repeat this multiple times and you are stuck without being able to run your business or pay your employees it is terrible! If they fixed this to a live or better format to be able to respond to your needs when their program is not working correctly I would give it five stars however given the above I give them 1 to 3 stars. Other than the following, it is phenomenal being able to throw out receipts and not worry about plastic baggies or fading ink. As far as I’m concerned, the auto-scan feature and it’s convenience makes it the leader in it’s category. I recommend it to everyone I know who owns a business. After the latest update, it will always treat me like I am on the free trial (I am a payed monthly member) until I sync my account in settings which is annoying. I also find it will randomly log me out when I need it the most, which means fumbling through my passwords as it does not support Face ID. 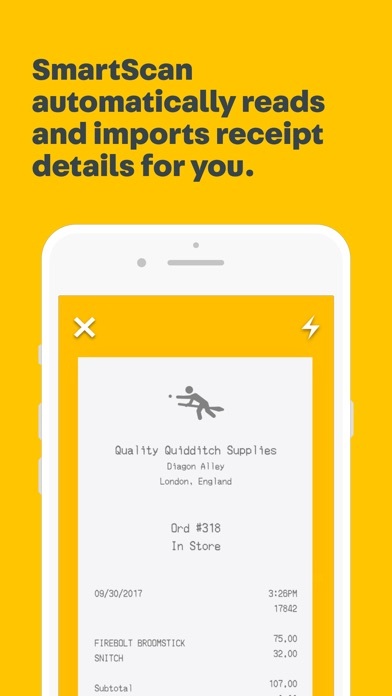 Nevertheless, It always uploads receipts quickly and stores them as soon as you scan. The auto-scan feature is never wrong, I have never had to correct an auto-scanned receipt. The concierge is very helpful, being forgetful sometimes I file the same expense twice, within a couple of minutes they notify you and remove it for you. I’ve been using Expensify for several years and tracking mileage by GPS was stable until the last release. Before this I would rate the app 4-5 stars. I’ve had the app quit suddenly during a trip so my mileage is off. If this continues, I’ll need to find an alternate app to use as this is the reason I use Expensify. I started with a “free” trial for 5 Smartscans. The app makes it so easy to scan receipts that I upgraded to unlimited scans. It was working fine then all of a sudden I would occasionally get an error message telling me I was out of SmartScans even though I had already paid for (and been using) the upgrade for unlimited scans. I cannot find any information on the web nor community site to figure out what is wrong. I have posted and emailed. We’ll see if I get help from support. This app started off great! Does everything you’d expect. It was originally free, then I received notice it would be $9.99/month. Just checked, they’ve been charging me $18/month now. Not worth that to me. Especially since I wasn’t even notified of the SECOND price jump. Can’t get past the “click this link to validate your email” stage so can’t evaluate. This app loses 50% of its functionality when it cannot keep a GPS trip tracking. It drops my trip almost 100% of the time. No good. So far it has been help full, very easy to use. Just start to use it cuz I need to keep track of my receipts, for my company’s meals, so far so good. I just wanted to track a few receipts for a trip, and it looked like there was a no fee option for private use. Turns out there isn’t, so it was a waste of time. Shouldn’t have hidden that info, was just a waste of time and effort since you had to create an account to find that out. Awful bait and switch! I am sure this product is great, but setting it up for your company is a nightmare. I would say their customer service is bad, but that would imply they had customer service. Only customer service is chatting with a rep who only responds every 20 minutes by pasting an article link I’ve been through three times that isn’t working. I started using Expensify to track my solo expenses for tax purposes. It’s such an easy to use product that I have been able to toss out all the paper based work that took up a large amount of time every month. At some point, I was switched to a lower priced plan that was a better fit for any person who is just tracking and not submitting for reimbursement. I had mistakenly applied a group policy setting and was actually paying twice for the app. The Customer Service person/“Consierge” was extremely helpful in fixing the situation. It was resolved easily and without any added stress. So any app that works well, saves me time, and has great customer support when needed is a thumbs up in my book! The app is complicated and the web interface not reliable. It keeps having errors. I used to hate expense reporting but no longer! This is super fast, easy and no stress. I’m a career management consultant - travel weekly, sometimes to different clients over the course of a week. Most but not all of my expenses are billable. And I am one of the owners of the firm, so I’m involved in submitting expenses for reimbursement, approving others’s expenses for reimbursement, invoicing, bookkeeping - the whole process. We started using Expensify a year ago, moving away from the receipt + tape method to 100 percent digital scanning. While we don’t use Expensify for invoicing (super buggy to re-bill expenses through Expensify), it nonetheless has streamlined our entire process, improved accuracy, and saved considerable time and frustration for everyone. Highly recommend! My company uses Expensify and it is generally awesome. 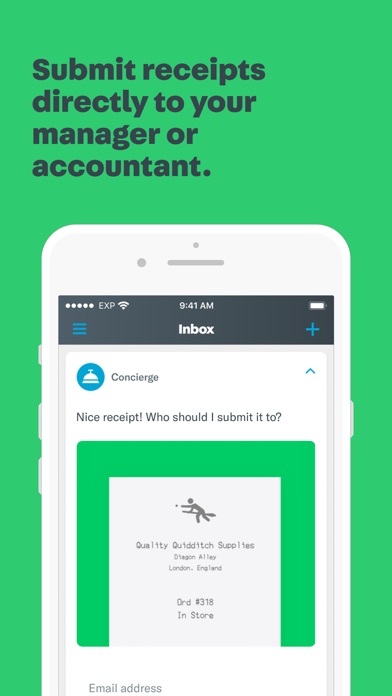 The only thing missing on the iOS app is the ability to attach a PDF to an expense. My receipts generally aren’t paper receipts, but I can attach a PDF as proof of purchase so I can be reimbursed. I know this is supported in the web app, would love to see it come to mobile. Saves a lot of time and it is more professional than the previous programs I’ve used. Easy to use. Only knock is that it doesn’t read all receipts, so you just have to manually type in the info. Definitely recommend. You create an expense and the “Reimbursable” switch is set to on. Then you open the expense again and it’s set to off. You switch it on and save. Open the expense again and it’s set to off again. What a joke. The Smartscan feature takes too long. Other than that the app works fine. I recently returned from a month long trip abroad and used expensify to keep track of my receipts. I could take a quick picture of the receipt and the program would (eventually) pull out the needed info. I could also choose to enter any info manually. It was easy to categorize expenses. I just finished out the reports and downloaded them. They are well formatted. The $4.99 monthly subscription was well worth the cost. Since I don’t travel often I cancelled my subscription after downloading my reports. I’ll resubscribe next time I’m on an extended trip. No fit the small business! I decided to cancel my subscription because I wasn’t using it enough. They charged me a $55 cancellation fee!!! It also takes a very long time to upload/scan receipts. We started using Expensify several years ago and found it to be a great help. It was the answer to so many of our issues we were having with our international travel. The changes in the past months have forced us to find another option for our needs. It is no longer user friendly. Costomer service is non existent. We cannot find a way to talk to a live person. On top of these frustrations the cost increased. We paid until the end of our annual subscription and then they would have continued to take the monthly fee had the credit card on file not expired. Bad form. Employer has us use this application for mileage tracking and expenses. I find the mileage tracker extremely clunky. Other apps much more user-friendly and do not require you to manually start a GPS mode. They automatically track the mileage. 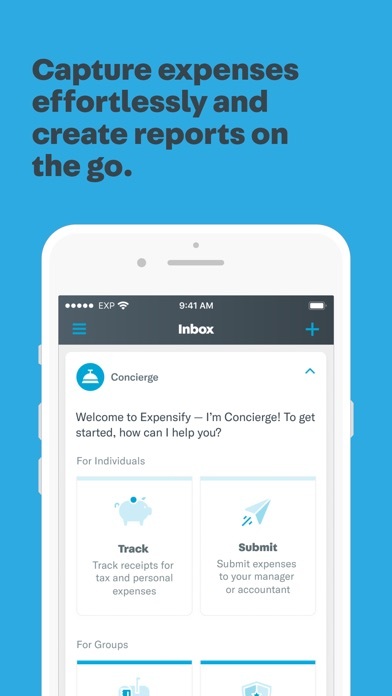 Granted, I have not tried other expense tracking products since I started to use Expensify a number of years ago, but I have kept up to date on competitive features, and Expensify continues, in my opinion, to be the best solution for a small to medium-sized company. Very easy to set up, administer, and use on a day-to-day basis. Take a quick picture or forward an email receipt, select a category, and submit. Submission can be done manually, at the end of a trip (location-based),or based on a predefined (or custom) time period. It’s a dope app, nah mean? It was very easy and straightforward to approve expenses on Expensify. This app works really well. We’ve been using this app for many years. Easy to use and versatile app. We recommend it to anyone who needs to track receipts either for claiming or just filing for tax. This new feature that automatically assigns receipts to a random open expense report is the WORST. Support says it is an “option that cannot be turned off.” News flash, if you can’t turn it off, it is NOT an option. We have multiple clients and projects. These projects incur expenses that must be on DIFFERENT expense reports and come in at DIFFERENT times. She. I email a receipt, as I have done for the past four years, it should be UNASSIGNED or give me the OPTION to have it remain so. Do some research before you make a new feature that could impact your user base. I like how it works usually, but keeps telling me to fix violations but blank screen. If this app worked it would be great. if you want to spend weeks in inane and time consuming communication with customer service that doesn’t know how their own app works — Boy oh boy, is this is the app for you. This was by far the most idiotic and frustrating experience I’ve ever had with any piece of software in my life — and I use a lot of technology. Run far far away from this and use anything else. I’ll be photographing and manually entering my receipts now after learning this took ten times more time and one hundred times more frustration than the straight up old fashioned way. I'm so sad I have been using this app since May 2013 and now I have to pay for a subscription. They advertise that you just need to scan your receipt and done! But then you have to close the app, wait an unknown amount of time, and then go back in to actually submit your expense. I've had a couple hundred dollars worth of expenses not reimbursed over the last year because I forgot to log back in to do part 2 until after the 30 day window is done. How do you not have notifications constantly reminding users that they have uploaded expenses that they're not going to get paid for unless they submit them?! I have a small business and had hoped Expensify would help with organizing and tracking staff expenses and such...but the set up and process didn’t provide the benefits I’d expected for my particular needs. I tried it out for several weeks (after the initial trial), realized it wasn’t for me, but then got busy with other work, and waited several months to find the log in info and cancel the account. It promptly warned me that I was on a very confusing annual plan, and that they would have to bill me for a higher rate for the months I’ve been using the program. Though I hadn’t been “using” the program, I suppose I didn’t meet the qualifications of an inactive user(? ), and that I would have to pay a canceled subscription charge amounting to about 6 months of fees I’d already been paying for 8 months. While I am not normally affected by irritations such as this, it seemed incredibly deceptive, even after reading through the pricing structure again afterwards, and has prompted me to write this review, hoping it might encourage others to understand it thoroughly before committing to an Expensify program. It might have been cheaper to keep the program for the extra months and cancel later, but by that time I was too huffy to consider it, and just wanted out. Too bad. I might have revisited it another time, but certainly not now. I getting tired of this latest scheme that developers are using to trick you into downloading an app, enter you email or phone number only to find out you have to pay a monthly fee to use the app. You used to be able to rely on going to the App Store and it would either say “Get” meaning it was free or it would have the price for the app and you could quickly make the decision whether you wanted to pay or not. Apple really needs to take a hard look at this practice that is becoming common now and change it. 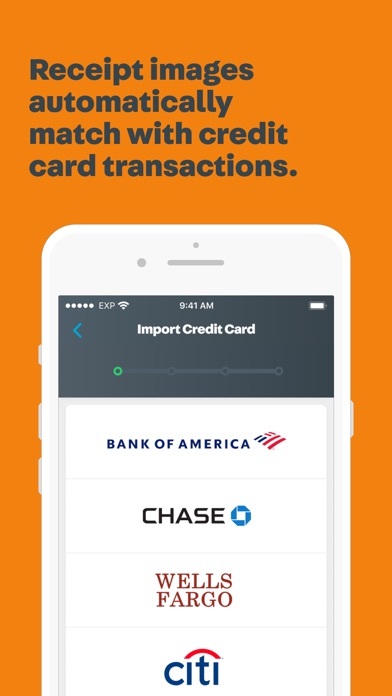 You shouldn’t have to read carefully through all the fine print that a crafty sales team has created before downloading an app that you expect to be free but it is far from it.